This tiny London courtyard was designed to look smart all year round. It had to provide storage space, a dining area and an attractive view from the house which wraps around two sides of the space. We designed two storage boxes which double as built in seats for for the dining table and had weatherproof cushions made to match. 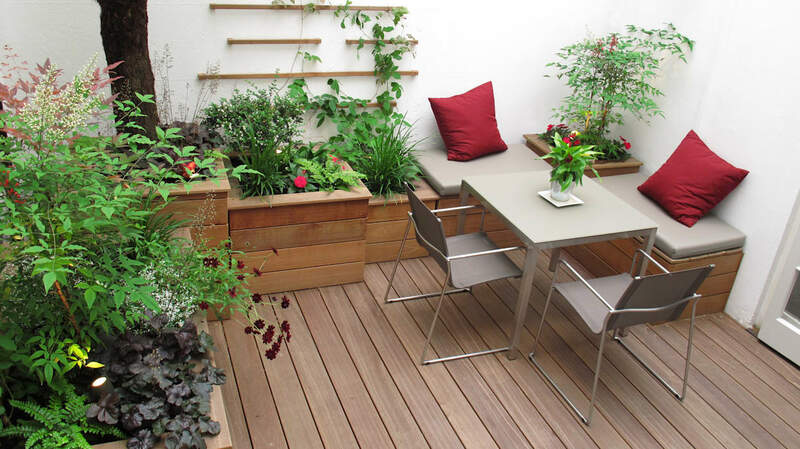 The planters and trellis are all built using the hardwood decking boards chosen for the flooring. The planting has a backbone of evergreens which we supplement twice yearly with annual plants for colour.